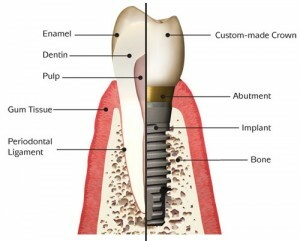 Thinking of getting dental implants in New Bedford, MA? The following guide lists the top dental clinics. Click on the profile of a dentist near you to read more about them. Here are some examples of how much people have paid for dental implants in Massachusetts. Welcome to Alpha Dental Center. When you need a family dentist, pediatric dentist, cosmetic, or restorative dentist, you can rely on Dr. Munal S. Salem and the skilled associates of Alpha Dental. We have six convenient locations, including offices in Franklin, MA, Weymouth, MA, North Dartmouth, MA, and Attleboro, MA, to meet the dental needs of your entire family. Our goal is to provide each patient with the very best dental care in a friendly but professional atmosphere. We assess each patient’s needs as an individual to create a treatment plan specifically for them. We help each patient learn how to care for themselves, with the goal of maintaining their dentition for life. We utilize the latest advances in technology to give you the care and service you need. Our friendly staff will use their experience to provide the highest standard of dental care in the most gentle and efficient way possible. From her location on the boundary of Dartmouth and New Bedford, and with easy access to Rts. 6, 195 and 140, Dr. Bower serves patients from all over the South Coast.